Kawai ES8 Review - Is this keyboard any good for you? In the category of best piano for under $2000, the Kawai ES8 sure is a wonder in our opinion. It’s easily one of the best portable keyboards currently on the market. Offering a level of realism and authenticity that would definitely impress any experienced pianist. Pianists worldwide praise this keyboard for its incredible sound and fantastic feel. But ignoring this, we’ll take an in-depth, unbiased look at this piano, to find out what it really is. The Kawai ES8 At Glance – Is This Piano For You? 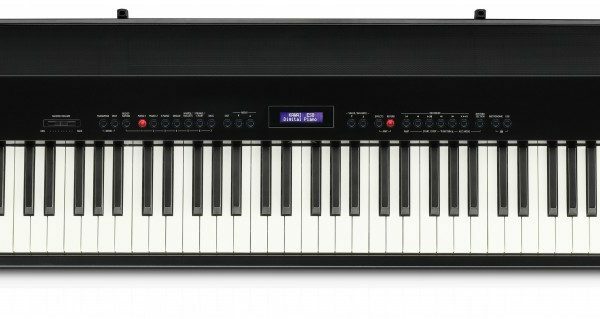 As we mentioned, the Kawai ES8 is one of the best digital pianos you can get for under $2000. And it’s quite easy to see why. Kawai went to great lengths to produce an instrument that sounds and feels pretty close to the real thing. All the tiny elements that make up an authentic feeling piano have been taken care of. And digital pianos have hardly ever felt this good. Of course, this piano isn’t perfect and there are a few things we would change if we could. For instance, this isn’t exactly portable, and you’ll find it a bit heavy and awkward to carry. And it also doesn’t come with a pitch bend or modulation wheel. Or with Bluetooth connectivity for that matter. But when you look at the big picture, you see that the pros far outweigh the cons. We are talking about an instrument that can double as both a console piano and a gigging piano. So, your options are not limited. Plus, the ES8 also comes with such a beautiful sound, as well as, a myriad of ways to adjust the different parameters of the sound, to suit your personal taste. Then there’s always the RHIII action which gives the keyboard a fantastic feel. The key resistance and weight are superb. It’s exactly what’s needed to reproduce that traditional acoustic piano feel. Now, the accessories needed to enjoy this instrument are not included. And if you want them, they are expensive which is a bit of a downer. But we must remember, that this is a high-end instrument, and, understandably, not intended for most beginners, so these things have to be taken into account. Therefore, in our opinion, this is a pro level instrument for the advanced or experienced player. We now go into the full review of the Kawai ES8. Check out the different aspects of this piano and find out exactly what we think of each of them. Kawai most definitely knows how to make beautiful pianos. We have yet to see a Kawai piano that’s less than elegant. And the Kawai ES8 is in no way an exception. It looks beautiful and will add a unique touch of class to your home or studio. Now, that said, it isn’t exactly what you’d call lightweight, and you really wouldn’t really think of it as portable. The Kawai ES8 is housed in a metal cabinet with a glossy finish that makes it look stunning. And running across the piano’s top panel is the full-length speaker grill. The sides, though, are made of plastic. However, this does not, in any way compromise the sturdiness of the instrument. You only need to sit at this piano to see that it’s a high-quality piano. Now, as mentioned earlier, this isn’t as portable as other instruments we’ve reviewed. However, those instruments are no where near as feature packed as the ES8. There’s a lot of fancy stuff here, and so you shouldn’t be so surprised that it weighs in at a staggering 50 pounds. Regardless of that, this is still a piano compact enough for gigging musicians to travel around with. Also, please note that this piano does not come with a stand, although it does come with a good sustain pedal. The control panel looks elegant and is easy enough to understand. It comes with 26 buttons plus a volume slider. So, you should find it quite simple to access all the sounds and functions of this piano. And with 26 different buttons, you avoid the dreaded ‘button-key’ combo that many digital pianos often have. Such control panels require quite a learning curve and are, therefore, best avoided if possible. Furthermore, every button features a separate LED which lights up whenever you select a particular sound or function. This makes your interaction with the keyboard effortless because you know exactly what’s going on with a simple glance. This piano also comes with an LCD screen which helps make it intuitive and easy to interact with. 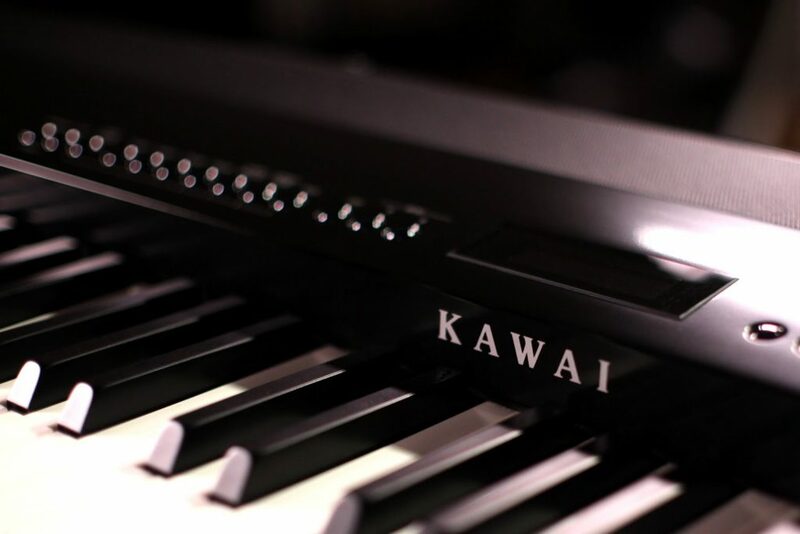 The Kawai ES8 comes with an amazing feel and touch. And with its Responsive Hammer III action (RH3), this piano offers a highly realistic action. The RH3 offers a Let-off simulation which is the best and most realistic action you can currently get on any digital piano. By using weighted hammers of different weights, this piano replicates the feel and action of an acoustic piano. Furthermore, we are also very impressed with the triple-sensor system. This makes the keyboard sensitive enough to capture every nuance of your play. Making it very easy to play trills, fast passages and pieces that require a lot of repeated notes. And to make the action even more responsive, Kawai added some metal counterweights to the keys. These counterweights balance the weight of the embedded hammers. So, you get a far quicker action and a more enhanced key return. And the Let-off mechanism we mentioned? It gives a clicking sound as the key travel reaches its end. As you may well know, this is a feature that you only find on grand pianos. In all, for a non-wood action, this keyboard feels really good to play. And this is enhanced by the fact that the keys are finished in simulated ivory. The sound of the Kawai ES8 is undoubtedly rich, full, and natural. Kawai uses its most advanced sound engine here – the Harmonic Imaging XL. You also find this same sound engine in other pianos from Kawai such as the CA-98 and the CA-78. This piano boasts ten piano tones and being so high quality, we’re quite sure you’re going to enjoy every one of them. Each of the tones comes with its own unique style and character. So, regardless of whatever style of music you choose to play on it, there’s a tone to bring your music to life. To create the sounds, Kawai sampled each note several times and at different volume levels. Making the range on this instrument very dynamic. With its increased sample memory, you can make use of longer samples that create an even more detailed sonic picture. While also achieving a more natural resonance and a longer decay. The total number of instrument sounds available adds up to 34. 10 Grand pianos: 6 Grand pianos, Upright piano, Modern piano, Jazz clean, Rock piano. 4 Electric Pianos: 60’s, Classic, and Modern. 4 organs: Church, Jazz, and Drawbar. 4 Strings: Warm, Ensemble, and Slow. Choir sounds and lots more. Although you’ll obviously need to run it through a keyboard amplifier or a PA if you’re playing a band concert with a drummer etc. 88 fully-weighted keys with Responsive Hammer III (RHIII) action and Let-off. Touch sensitivity: 5 types, 2 User types, and Off. LCD display: 16 x 2 characters. Sound Engine: Harmonic Imaging XL with 88-key piano sampling. Built-in tones: 34 with 10 piano sounds. Sound effects: 11, with six types of reverb. Virtual Technician: Voicing, Touch Curve, Damper Resonance, String Resonance, Key-off Effect, Fall-back Noise, Topboard, Hammer Delay, Soft Pedal Depth, Decay Time, Stretch Tuning, Temperament. 100 rhythms, with 4-part accompaniment. Modes: Dual, Split, Four hands (volume balance, adjustable split point). 2-track recorder: records up to 10 songs in WAV and MP3 formats. Transpose, Fine-tuning and metronome functions. 2 Speakers: 15W + 15W, 8 x 12 centimeters. Connectivity: USB to Host, USB to Device, 2 headphone jacks, MIDI In/Out, Line Out, Sustain/Soft jack, Sustain jack. Dimensions: 54 x 14.5 x 6 inches. Authentic RHIII keyboard action with Ivory feel and Let-off. Max polyphony of 256 notes. Comes with 10 beautiful tones with 3 of them sourced from Kawai Concert pianos. Comes with a Virtual Technician feature alongside 15 adjustable parameters. The piano sound is rich, full, and natural. Records both audio and MIDI. The optional accessories are a bit pricey. Of course, we could not go over every feature of the Kawai ES8, in a review of this length. So, there’s a lot more to discover with this keyboard. 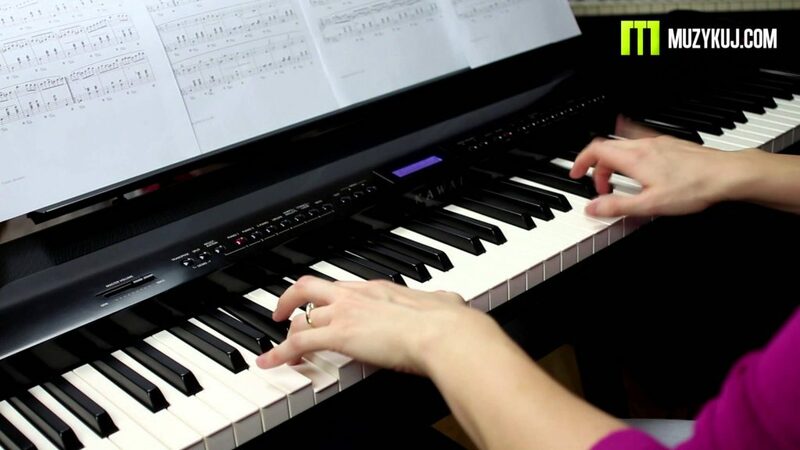 But, it’s easy to see why we think the Kawai ES8 is one of the best digital pianos currently available. We highly recommend this piano and if you can afford it, then, by all means, get it! It does cost a lot we know, but it’s more than worth every penny you spend on it.